Vincent van Gogh died in 1890, long before the emergence of any of the visual technologies that impress us here in the 21st century. 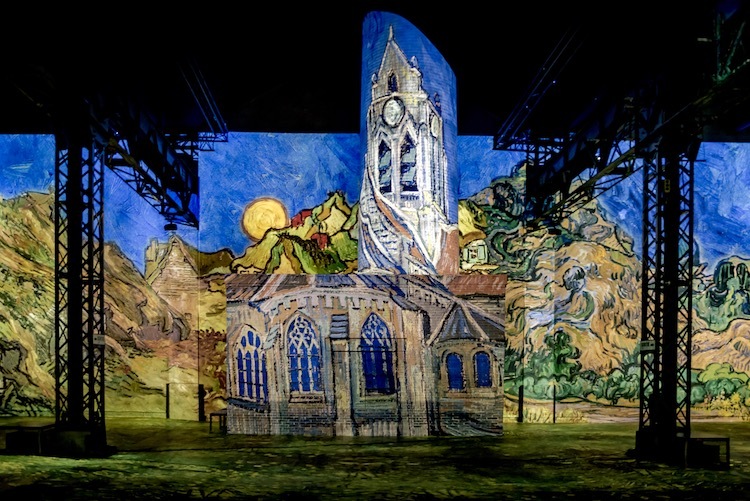 But the distinctive vision of reality expressed through paintings still captivates us, and perhaps captivates us more than ever: the latest of the many tributes we continue to pay to van Gogh's art takes the form Van Gogh, Starry Night, a "digital exhibition" at the Atelier des Lumières, a disused foundry turned projector- and sound system-laden multimedia space in Paris. "Projected on all the surfaces of the Atelier," its site says of the exhibition, "this new visual and musical production retraces the intense life of the artist." Van Gogh's intensity manifested in various ways, including more than 2,000 paintings painted in the last decade of his life alone. Van Gogh, Starry Night surrounds its visitors with the painter's work, "which radically evolved over the years, from The Potato Eaters (1885), Sunflowers (1888) and Starry Night (1889) to Bedroom at Arles (1889), from his sunny landscapes and nightscapes to his portraits and still lives." It also takes them through the journey of his life itself, including his "sojourns in Neunen, Arles, Paris, Saint-Rémy-de-Provence, and Auvers-sur-Oise." 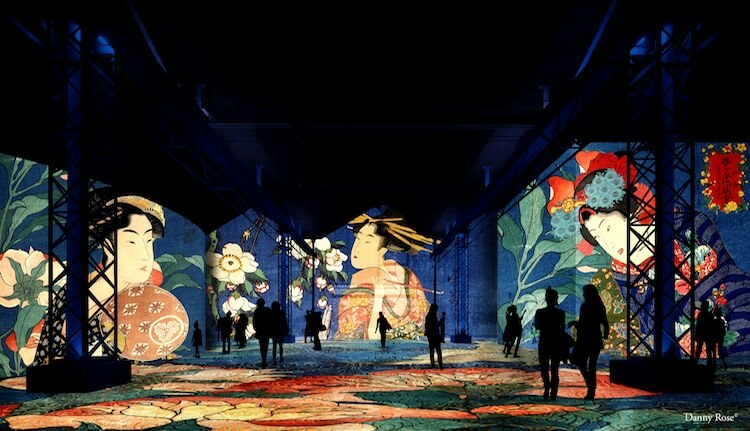 It will also take them to Japan, a land van Gogh dreamed of and that inspired him to create "the art of the future," with a supplemental show titled Dreamed Japan: Images of the Floating World. 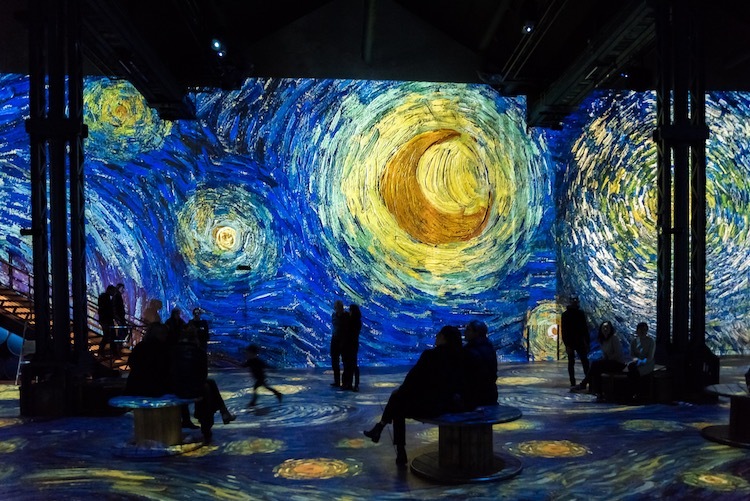 Both Van Gogh, Starry Night and Dreamed Japan run until the end of this year. 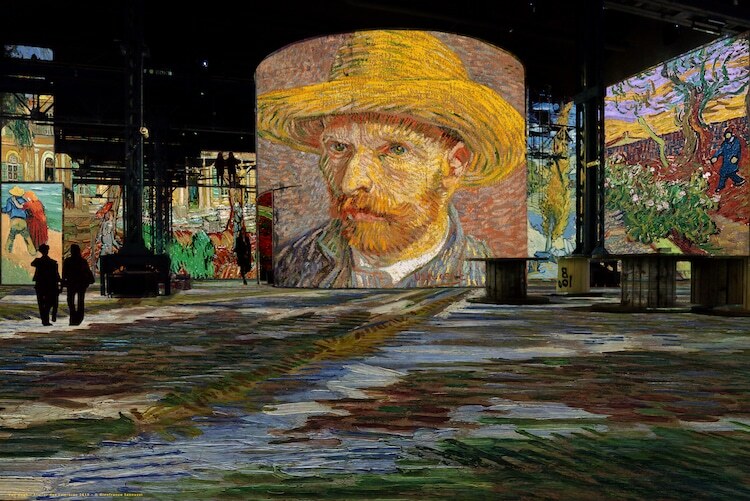 If you happen to have a chance to make it out to the Atelier des Lumières, first consider downloading the exhibition's smartphone and tablet application that provides recorded commentary on van Gogh's masterpieces. That counts as one more layer of this elaborate audiovisual experience that, despite employing the height of modern museum technology, nevertheless draws all its aesthetic inspiration from 19th-century paintings — and will send those who experience it back to those 19th-century paintings with a heightened appreciation. Nearly 130 years after Van Gogh's death, we're still using all the ingenuity we can muster to see the world as he did. Will this show be coming to the San Francisco Bay Area. If so, when please?